Dreaming of lounging under shady palm trees on a sandy beach? 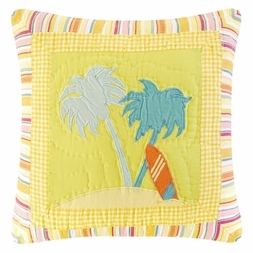 This colorful Palm Tree pillow will help you! 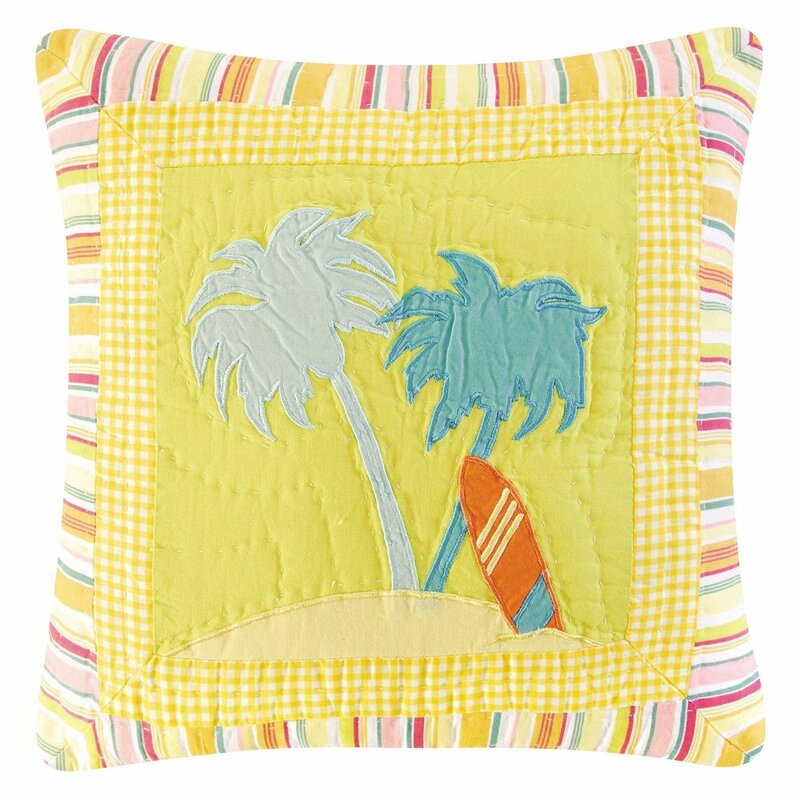 Bright and cheery in tropical-inspired colors, with sewn appliques of Palm Trees...and your surfboard! Reverses to a coordinated sunshine yellow check pattern.